JOANNA WEAVER is the best-selling author of Having a Mary Heart in a Martha World, Having a Mary Spirit, and the award-winning gift book With This Ring. 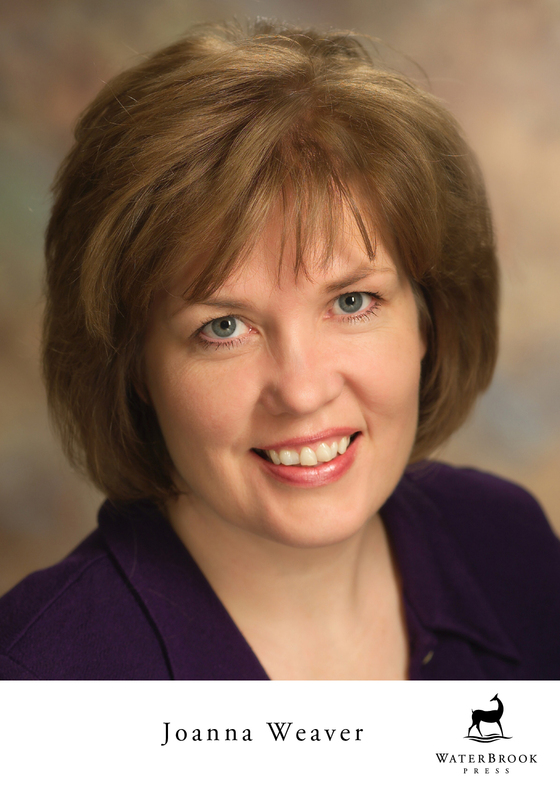 Her articles have appeared in such publications as Focus on the Family, Guideposts, and HomeLife. Joanna and her pastor-husband, John, have three children and live in Montana. Colorado Springs, Colo – In Lazarus Awakening (February 8, 2011) Joanna Weaver author of bestselling Having a Mary Heart in a Martha World, helps prepare readers for the Easter celebration of Jesus death and resurrection, through her exploration of Lazarus death and resurrection. 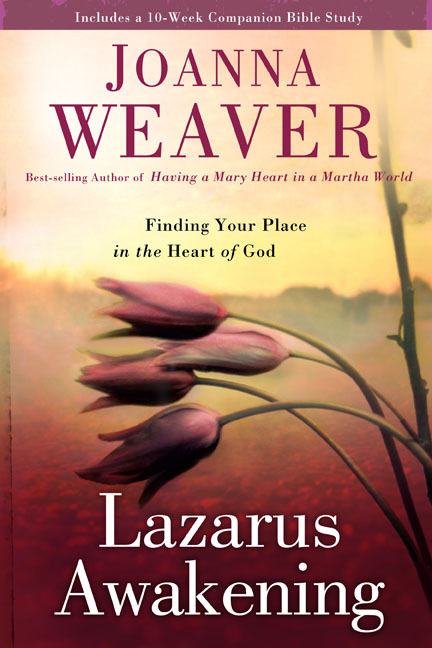 Weaver explores the story of Jesus calling Lazarus forth to new life, and what that can mean to each one of us. How Jesus not only wanted to free Lazarus, but also free each person to live fully in the light of His love, unbound from the grave clothes of fear, regret, and self-condemnation. She explores how it’s easier for us to believe that God so loved the world…but sometimes wonder if He truly loves us…. Combining unforgettable real-life illustrations with unexpected biblical insights, Weaver invites each of us to experience a spiritual resurrection this Easter that will forever change our understanding of what it means to be the one Jesus loves. It’s amazing that such a little space could make so much difference. Just eighteen inches, give or take a few—that’s all it needs to move. And yet, for many of us, getting God’s love from our heads to our hearts may be the most difficult—yet the most important—thing we ever accomplish. “I need to talk,” Lisa whispered in my ear one day after women’s Bible study. A committed Christian with a deep passion for the Lord, my friend had tears pooling in her dark eyes as we found a quiet corner where we could talk. “I don’t know what’s wrong with me,” she said, shaking her head as she looked down at her feet. “I could go to the worst criminal or a drug addict living on the street, and I could look him in the eye and tell him, ‘Jesus loves you!’ and mean it from the bottom of my heart. Her words were familiar to me. I’d felt that same terrible disconnect early in my walk with the Lord. Hoping He loved me but never really knowing for sure. Sadly, I’ve heard the same lonely detachment echoed by hundreds of women I’ve talked to around the country. Beautiful women. Plain women. Talented and not-so-talented women. Strong Christian women, deep in the Word and active in their church, as well as women brand new to their faith. Personal attributes or IQs seem to matter little. Whether they were raised in a loving home or an abusive situation, it doesn’t seem to change what one friend calls an epidemic among Christian women (and many men as well): a barren heart condition I call love-doubt. “Jesus loves me—this I know, for the Bible tells me so.”(1) Many of us have sung the song since we were children. But do we really believe it? Or has Christ’s love remained more of a fairy tale than a reality we’ve experienced for ourselves in the only place we can really know for sure? You would think after accepting Christ at a young age and being raised in a loving Christian home with a loving, gracious father, I would have been convinced from the beginning that my heavenly Father loved me. But those very things kept me from really knowing Christ’s love for the majority of my early adult life. There was just so much to dislike, so much to disapprove of. How could God possibly love me? Even I wasn’t that crazy about me. For some reason, I’d come to see God as distant and somewhat removed. Rather than transposing upon God the model of my earthly father’s balanced love—both unconditional yet corrective—I saw my heavenly Father as a stern teacher with a yardstick in His hand, pacing up and down the classroom of my life as He looked for any and all infractions. Measuring me against what sometimes felt like impossible standards and occasionally slapping me when I failed to make the grade. Yes, He loved me, I supposed. At least that’s what I’d been taught. But I didn’t always feel God’s love. Most of the time I lived in fear of the yardstick. Who knew when His judgment would snap down its disapproval, leaving a nasty mark on my heart as well as my soul? As a result, I lived the first three decades of my life like an insecure adolescent, forever picking daisies and tearing them apart, never stopping to enjoy their beauty. He loves me, He loves me not, I would say subconsciously, plucking a petal as I weighed my behavior and attitudes against what the Bible said I should be. Powerful church services and sweet altar times. Ah, I felt secure in His love. Real life and less-than-sweet responses? I felt lost and all alone. Unfortunately, all I got from constantly questioning God’s love was a fearful heart and a pile of torn, wilted petals. My overzealous self-analysis never brought the peace I longed for. Because the peace you and I were created for doesn’t come from picking daisies. It only comes from a living relationship with a loving God. I never planned on writing a trilogy about Mary, Martha, and Lazarus, the siblings from Bethany that we meet in Luke’s and John’s gospels. In fact, when I wrote Having a Mary Heart in a Martha World, I was fairly certain it was the one and only book to be found in those verses. But God surprised me six years later, and Having a Mary Spirit was born. The thought that there might be a third book never crossed my mind until I shared an interesting premise with a few friends who are writers. It was a teaching point I’d hoped to fit into Having a Mary Spirit but never quite found room. The question hung in the air before I continued. Somehow my words seemed to have extra weight as they floated between us. Extra importance. Even I felt their impact. I can’t adequately explain what happened when she said those words, except to say it was as though a giant bell began to sound in my soul. Its reverberations sent shock waves through my body as I tried to change the subject. The thing is, I didn’t want to write about Lazarus. I wanted to write a different book. I was ready to move on, to explore other subjects. But God wouldn’t let me. And so you hold this book in your hands. We first meet the family from Bethany in Luke 10:38–42. Or rather we meet part of the family—two followers of Jesus named Martha and Mary. Strangely, Luke’s account never even mentions Mary and Martha’s brother, Lazarus. Perhaps he wasn’t home when Martha held her dinner party. Perhaps he was away on business. Or perhaps he was there all the time but no one really noticed. Some people are like that. They have perfected the art of invisibility. Experts at fading into the background, they go out of their way not to attract attention, and when they get noticed, they feel great discomfort. …“Where have you laid him?” he asked. What a tender story. A story filled with emotion and dramatic tension. The story of two sisters torn by grief and a Savior who loved them yet chose to tarry. Have you noticed that when Jesus comes on the scene, what seems to be the end is rarely the end? 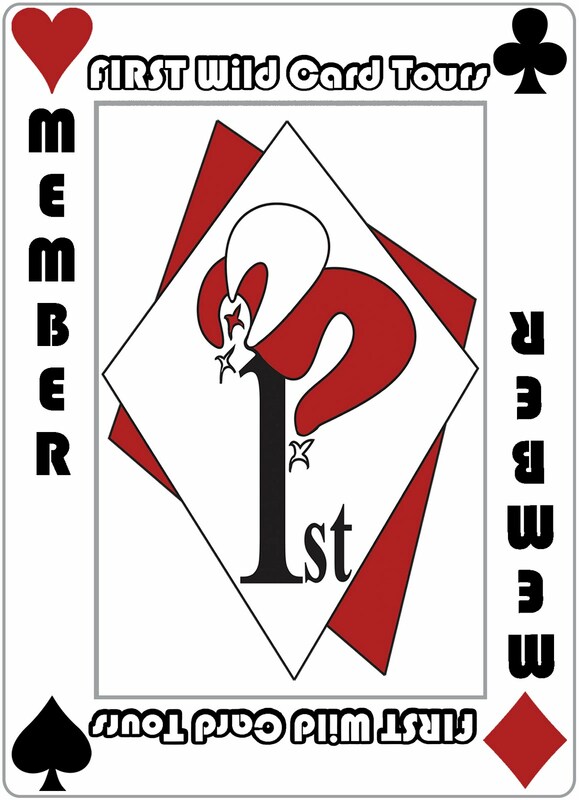 In fact, it’s nearly always a new beginning. But Mary and Martha didn’t know that at the time. And I’m prone to forget it as well. Questions and disappointments, sorrow and fear tend to block out the bigger picture in situations like the one we see in Bethany. What do we do when God doesn’t come through the way we hoped He would? What should we feel when what is dearest to our hearts is suddenly snatched away? How do we reconcile the love of God with the disappointments we face in life? Such questions don’t have easy answers. However, in this story of Jesus’s three friends, I believe we can find clues to help us navigate the unknown and the tragic when we encounter them in our own lives. Tips to help us live in the meantime—that cruel in-between time when we are waiting for God to act—as well as insights to help us trust Him when He doesn’t seem to be doing anything at all. But most important, I believe the story of Lazarus reveals the scandalous availability of God’s love if we will only reach out and accept it. Even when we don’t deserve it. Even when life is hard and we don’t understand. For God’s ways are higher than our ways, and His thoughts are higher than our thoughts, Isaiah 55:8–9 tells us. He knows what He’s doing. Even when we can’t figure out His math. Of course, fourth-grade math was more difficult than that. But the basic addition and subtraction skills I’d learned in first and second grade helped me tackle the multiplication and division problems of third and fourth grade with confidence. By the time I reached sixth grade, I was fairly proficient with complicated columns of sums and had pretty much conquered the mysterious world of fractions. I was amazing—a math whiz. But then eighth grade dawned and, with it, a very brief introduction to algebra. It all seemed quite silly to me. Who cared what the y factor was? And why on earth would I ever need to know what x + y + z equaled? When my teacher gave us a high-school placement math exam that spring, I didn’t spend a lot of time trying to figure out the answers—mainly because I had no idea how, and when I tried, it made my head hurt. Instead, when I encountered a difficult problem during the test, I did what had always worked for me: I looked for a pattern in the answers. Allowing my mind to back up a bit and my eyes to go a little fuzzy, I’d stare at all those little ovals I’d so neatly darkened in with my number-two pencil until I could see a pattern. I haven’t filled in a D for a while. Or, There were two Bs and then two Cs and one A, so obviously this must be another A.
I was amazing at this too. No, really, I was. Several weeks later when we received the results of our testing, I had been placed not in bonehead math, not even in beginning algebra. No, it was accelerated algebra for me, though I hadn’t a clue what I was doing. To this day I still don’t. My algebraic cluelessness has followed me through adulthood and on into parenting. My kids can ask an English question, quiz me on history or government, and I can usually give them an answer or at least help them find one. But when it comes to algebra or geometry or calculus or any of those other advanced math classes invented by some sick, twisted Einstein wannabe…well, they’d better go ask their dad. Advanced mathematics remains a complete mystery to me. The unknown factors seem so haphazard. What if z/y squared doesn’t equal nine? What then? The unknown factors frustrate us in life’s story problems as well—and there are plenty of those in John 11. How are we to compute the fact that Jesus stayed where He was rather than rushing to Lazarus’s side when He heard His friend was ill? How do we reconcile Jesus’s allowing Mary and Martha to walk through so much pain when He could have prevented it in the first place? Difficult questions, without a doubt. But there is a foundational truth in this passage we must first acknowledge before we can tackle the tougher issues. “Jesus loved Martha and her sister and Lazarus” (John 11:5, emphasis added). Jesus loves you and me as well. He loves us just as we are—apart from our Martha works and Mary worship. He even loves those of us who come empty-handed, feeling dead inside and perhaps a little bound. For while it may not add up in our human calculations, the truth of God’s love lies at the heart of the gospel. “While we were still sinners,” Romans 5:8 tells us, “Christ died for us.” We may not be able to do the math ourselves or reason out such amazing grace, but if we’ll simply ask, our heavenly Father longs to help us find the bottom line. I’ve always told my husband, John, that he has to die before I do—mainly because I don’t want him remarrying some wonderful woman and finding out what he’s missed all these years. But then again, if he were to go first, I’m convinced I’d face financial ruin in two months. It’s not because John hasn’t taken very good care of us financially but because I absolutely hate balancing checkbooks. My idea of reconciling my checking account is to call a very nice lady named Rhonda at our bank. She graciously lets me know the bottom line whenever I’m a little leery of where I stand. Now, I know this isn’t a wise way to handle fiscal matters. In fact, you CPAs reading this are about to faint if you haven’t already thrown the book across the room. But, hey, it works for me. Okay, so there have been a few blips in my system. But I’m coming to believe that while this may not be such a great method in the natural realm, it may be the only way to go in the spiritual. After spending the greater part of my life trying to make everything add up on my own—that is, trying to make sure my good outweighed my bad so I was never overdrawn but was continually making deposits in my righteousness bank—I finally realized that nothing I did could ever be enough. No matter how hard I tried, I constantly lived under the weight of my own disapproval. Which, of course, instantly mutated into a sense that God was coldly disappointed with me as well. Keeping my own spiritual books has never added up to anything but guilt and condemnation and an overwhelming sense of hopelessness. I’m so glad God’s math isn’t like mine. And oh how I rejoice that He doesn’t demand I come up with the correct answer before He makes me His child. Because when I couldn’t make it up to Him, Jesus came down to me. And through His precious blood sacrifice, He made a way for me to come not only into His presence but directly into the heart of God. “All of this is a gift from God,” 2 Corinthians 5:18–19 tells us, “who brought us back to himself through Christ.… no longer counting people’s sins against them” (NLT). I don’t think we can begin to imagine how radical Christ’s New Testament message of grace sounded to a people who had been living under the Law for thousands of years. The thought that there might be a different way to approach God—a better way—was appealing to some Jews but threatening to many others. For those who kept stumbling over the rules and regulations set up by the religious elite—never quite measuring up to the yardstick of the Law—the idea that God might love them apart from what they did must have been incredibly liberating. “You come from Nazareth?” they said, pointing the yardstick. “Nothing good comes from Nazareth.” That’s one whack for you. “You eat with tax collectors and sinners? That’s even worse.” Whack, whack. “You heal on the Sabbath?” they screamed, waving their rules and regulations. Off with Your head! The Sadducees and Pharisees had no room in their religion for freedom. As a result, they had no room for Christ. They were people of the yardstick. Even though Jesus kept insisting He hadn’t come to “abolish the Law or the Prophets…but to fulfill them” (Matthew 5:17), they just wouldn’t listen. Like little children they plugged their ears and kept singing the same old tune, though a New Song had been sent from heaven. Which is so very sad. Especially when you consider that the very Law they were so zealous for had been intended to prepare them for the Messiah rather than keep them from acknowledging Him. After all, God established His original covenant with Abraham long before He gave Moses the Law—430 years before, to be exact (Galatians 3:17). The love the Father extended to Abraham and to all those who came after him had no strings attached. It was based on the recipient’s acceptance of grace from beginning to end. Such self-induced holiness didn’t work for the Jews, and it doesn’t work for us. That’s why Jesus had to come. The Law had originally been given “to show people their sins,” Galatians 3:19 tells us. But it was “designed to last only until the coming of the child who was promised” (NLT). Though the yardstick of the Law helped keep us in line, it was never intended to save us. Only Christ could do that. And oh may I tell you how that comforts my soul? I’ll never forget the day I handed Jesus my yardstick. I had been saved since childhood, but I was almost thirty before the message of grace finally made the trip from my head to my heart, setting me “free from the law of sin and death” (Romans 8:2). As the light of the good news finally penetrated the darkness of my self-condemning mind, the “perfect love” 1 John 4:18 speaks of finally drove out my fear, which had always been rooted in fear of punishment. When I finally laid down my Pharisee pride and admitted that in myself I would never be—could never be—enough, I experienced a breakthrough that has radically changed my life. For as I surrendered my yardstick—the tool of comparison that had caused so much mental torment and a sense of separation from God—Jesus took it from my hands. Then, with a look of great love, He broke it over His knee and turned it into a cross, reminding me that He died so I wouldn’t have to. That the punishment I so fully deserve has already been paid for. That the way has been made for everyone who will believe in Jesus not only to come to Him but to come back home to the heart of God. I believe that everything we were made for and everything we’ve ever wanted is found in these three little verses. But in order to appropriate the all-encompassing love of God, we must give up our obsession with formulas and yardsticks. But how do we do that? Paul’s prayer reveals an important key: “that you…may have power…to know this love that surpasses knowledge” (emphasis added). The marvelous incongruity of that statement hit me several years ago. “Wait, Lord! How can I know something that surpasses knowledge?” I asked. His answer came sweet and low to my spirit. You have to stop trying to understand it and start accepting it, Joanna. Just let Me love you. For the reality is, no matter how hard we try, we will never be able to explain or deserve such amazing grace and incredible love. Nor can we escape it. It’s just too wide, Ephesians 3:18 tells us. We can’t get around it. It’s just too high. We can’t get over it. It’s so long we’ll never be able to outrun it. And it’s so deep we’ll never be able to exhaust it. Bottom line: You can’t get away from God’s love no matter how hard you try. Because He’s pursuing you, my friend. Maybe it’s time to stop running away from love and start running toward it. Even if, at times, it seems too good to be true. Are You Willing to Be Loved? I don’t know why Jesus chose me to love. Really, I don’t. Perhaps you don’t understand why He chose you. But He did. Really, He did. Until we get around to accepting His amazing, undeserved favor, I fear we will miss everything a relationship with Christ really means. When my husband proposed to me so many years ago, I didn’t say, “Wait a minute, John. Do you have any idea what you’re getting into?” I didn’t pull out a list of reasons why he couldn’t possibly love me or a rap sheet detailing my inadequacies to prove why he shouldn’t—although there were and are many. No way! I just threw my arms open wide and accepted his love. I would have been a fool to turn down an offer like that. I wonder what would happen in our lives if we stopped resisting God’s love and started receiving it. What if we stopped trying to do the math, stopped striving to earn His favor? What if we just accepted the altogether-too-good-to-be-true news that the yardstick has been broken and the Cross has opened a door to intimacy with our Maker? For if we are ever to be His beloved, we must be willing to be loved. Simple, huh? And yet oh so hard. Like my friend Lisa, many of us are plagued by love-doubt. We have hidden tombs yet to be opened. Dark secrets that keep us hanging back. Soul-sicknesses that have left us crippled and embittered by our inability to forgive or forget. Graveclothes that keep tripping us up and fears that hold us back from believing the good news could ever be true for people like us. Maybe it’s time to look in the mirror and start witnessing to ourselves. You may have to force yourself to say the words. Today your emotions may not correspond with what you’ve just declared. It is likely you may have to repeat the same words tomorrow. And do it again the next day. And the next. But I promise that as you start appropriating what God has already declared as truth, something’s going to shift in the heavenly regions. More important, something’s going to shift in you. So say those words as many times as you need to…until the message gets through your thick head to your newly tender heart. Until you finally come to believe what’s been true all along. Shh…listen. Do you hear it? And He’s calling your name. * Please let me tell you how much I love the nation of Israel. I fully believe they are the chosen people of God and a precious family into which I have been adopted. When I speak of the spiritual pride and blindness of the religious hierarchy of Jesus’s day, it is not to condemn the Jews. Instead, I see my own tendency—and the tendency of the body of Christ today—to fall into spiritual pride and blindness when we love our “form of godliness” but miss “the power thereof ” (2 Timothy 3:5, KJV). Excerpted from Lazarus Awakening by Joanna Weaver Copyright © 2011 by Joanna Weaver. Excerpted by permission of WaterBrook Press, a division of Random House, Inc. All rights reserved. No part of this excerpt may be reproduced or reprinted without permission in writing from the publisher.